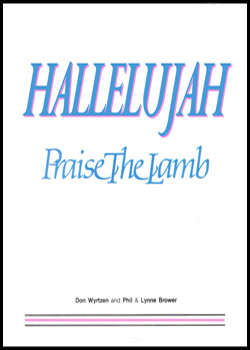 "Hallelujah, Praise the Lamb" which features original works by Phil and Lynne Brower and Don Wyrtzen also highlights beloved Good Friday and Easter songs such as "The Old Rugged Cross," "Nothing But the Blood of Jesus," "There is Power in the Blood," and the triumphant "Christ the Lord is Risen Today!" Included are "musical" or "concert" version suggestions for presentation of this work. "Sing to the Lamb! - Opener"
"The Wedding of the Lamb/We Shall See Him As He Is"
"Sing to the Lamb! - Finale"